Tesla Motors will build its electric-car factory in the Bay Area, not New Mexico as previously announced. Gov. 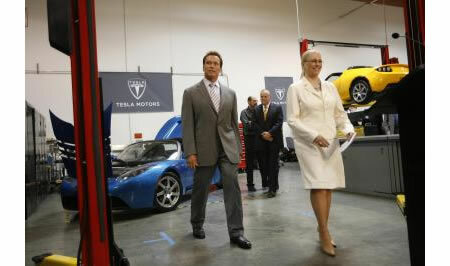 Arnold Schwarzenegger said California was able to provide San Carlos-based Tesla with incentives, including the waiving of state sales tax on $100 million worth of manufacturing equipment, to entice the company to build its assembly plant here. Arnold wants these cutting-edge companies not just to start in California and do their research and development but also to them to build in California. Tesla will seek a location not too far from its San Carlos headquarters so that its engineers can travel back and forth. Tesla’s Bay Area factory will open in 2010, said Elon Musk, its chairman and largest investor.